Last month a teenager, Sam Abel, from Worcester, England committed suicide in a gruesome manner. No one even remotely doubted that Sam was a victim of cyber bullying. His parents Anita and Mark Abel were under the impression that he had been hit by a car. They couldn’t believe it when the police showed them a CC TV footage of Sam jumping off a multistoried parking space. The police investigated for weeks but didn’t get any convincing reason behind Sam’s drastic decision. Meanwhile, Anita and Mark were haunted by this question – What might have led their talented and cheerful child to end his life in silence? We wish they knew in time about the importance of online safety for kids. What Anita accidentally found later while going through Sam’s pictures on his tablet shocked her more than it aggrieved her. She came across Facebook group chats in which Sam thought he was talking to one of his mates, but he wasn’t. It’s called pranking. The bullies used to mock his family name ‘Abel’, by sarcastically associating it with his father’s disability. 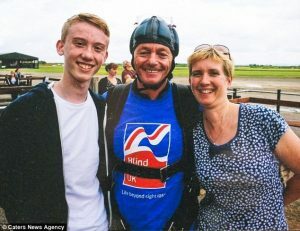 The bullies mocked Sam, that his father was disabled despite his family name being ‘Abel’. Mark Abel had lost his sight to multiple sclerosis six years ago. Purportedly envious of Sam’s academic excellence and extracurricular talent, the bullies even used to call him Spotify because of the spots on his face, and even shame him for wearing a yellow crash helmet and jacket. In one of the chats with his friend, Sam wrote that he thought he was going insane and said, “I want to kill myself.” He said he was going to prove a point. These messages led Sam’s parents to conclude that he was being bullied, but there were no names, only numbers. The bullies used ‘burner phones’ with temporary numbers that are disposed of after using a couple of times. These are mostly used by drug dealers, and it’s shocking that 13-year-olds were using it to prank and lead a boy to death. This might sound like a remote incident to you, but believe it or not, your child is under threat of cyber bullying that has stealthily gained prominence in the last few years. Even more shockingly, parents in the UAE might just be caught unawares if they don’t make themselves aware of this global bane, and act on it immediately. 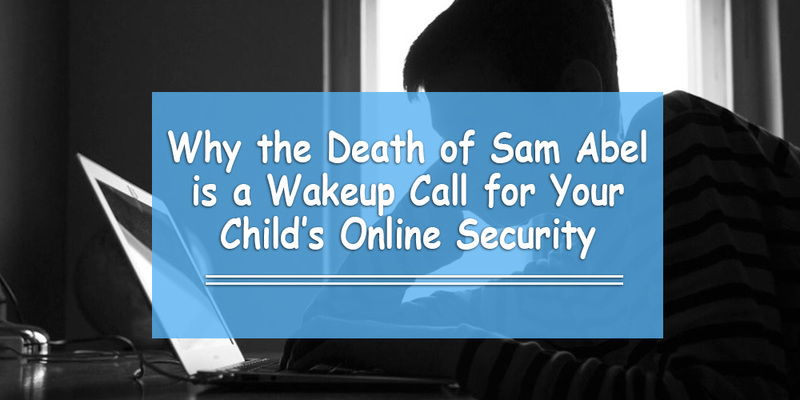 Are you Aware of your Child’s Online Activities and Security? There are apps and websites that can help parents not only counter cyber bullying but also build their children as responsible Internet citizens who use their screen time judiciously. However, the ground reality is, a majority of parents in the region don’t use such software. According to a research conducted by Kaspersky Lab last year, only 26 percent parents use parental control software in the UAE. The survey revealed that 56 percent of children in the UAE were exposed to online threats in the 12-month period leading up to the research. These threats included being exposed to inappropriate content, cyber bullying, dangerous strangers and more. Kaspersky surveyed approximately 500 people in the UAE (Among 12,550 people From 21 countries) aged 16 and above. 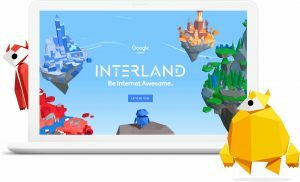 “You wouldn’t let your children cross the road or talk to strangers on their own, so it’s surprising to see almost a quarter of parents leaving their kids to browse the Internet independently. It’s easy to overlook the security threats of the online world when you’re a busy parent but leaving kids to deal with threats without help is unsafe,” Andrei Mochola, Head of Consumer Business at Kaspersky Lab comments rightly on the lack of awareness revealed by the survey. While you can control the Internet usage of your child by blocking inappropriate content and limiting screen time, this approach might just lead to strong pushback from children, as they will feel that their freedom has been limited. Therefore, we recommend you use less intrusive apps that let children browse the internet without feeling straight jacketed. These apps keep you notified about inappropriate usage, for you to intervene sensibly whenever necessary, to counsel children. 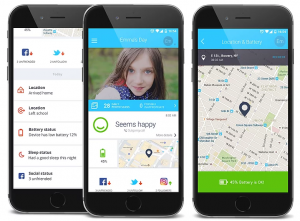 One such app is Bosco Parent that notifies you when children access inappropriate content, face possible bullying situations, or run out of battery when outside home. It also identifies unknown callers and tracks your child’s location. Apart from keeping our children safe, it’s also important to make them realize that there’s a big, beautiful world beyond the screen. They will not be impacted by the incidents on the Internet so much if their mind is diverted to other off-screen activities. You can address your children’s screen addiction through unGlue, an app that lets you allocate Internet usage time, and use it as a reward for volunteering to take part in off-screen activities – e.g. household chores, studies of outdoor activities.